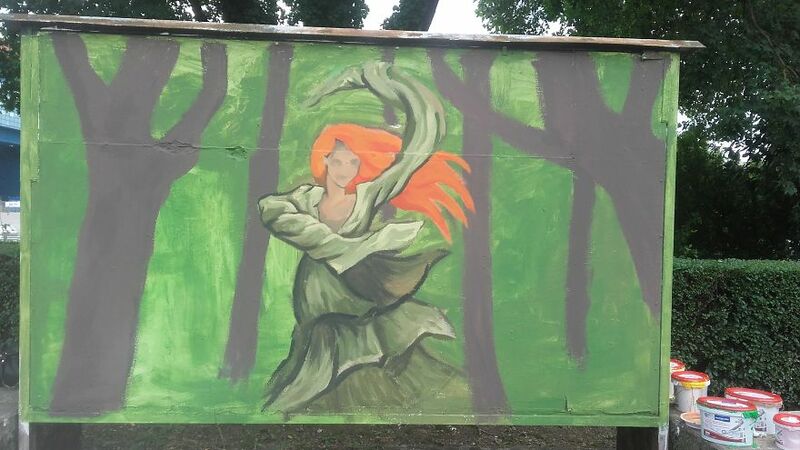 Traditionally, as every year, painting of Maksimir panels is held in Zagreb. 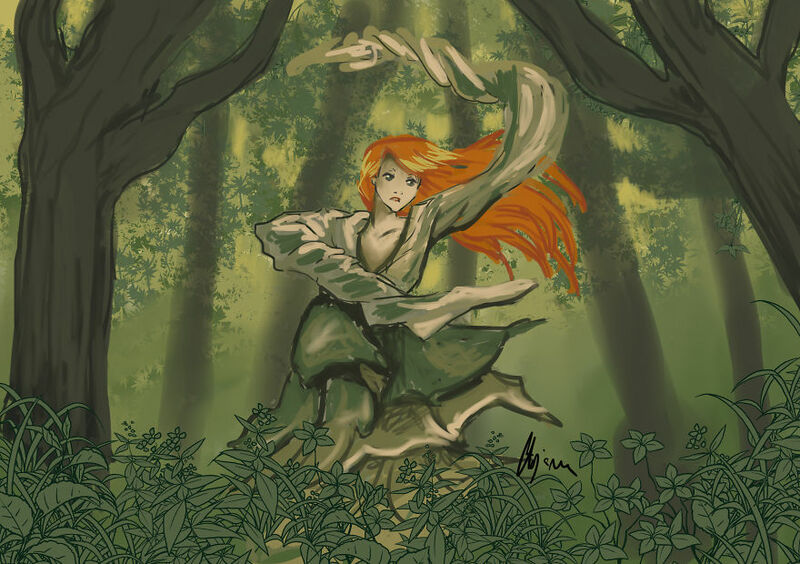 The theme of this year’s painting is “Dance in the Forest” and I accidentally found myself to be one of the exhibitors. 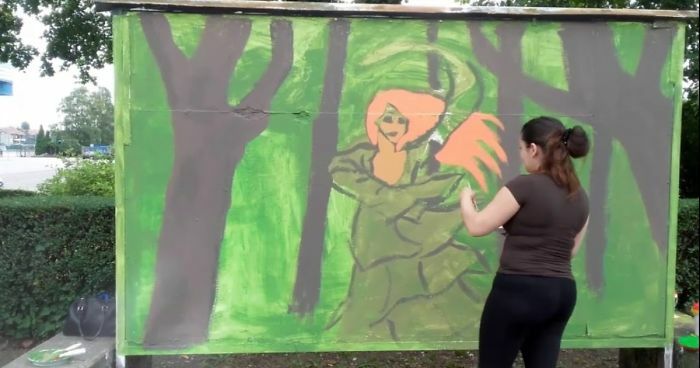 It’s about the annual Road Show, which takes place from 15.05 to 17.05, but because of the rain in that period, our mural paintings has not ended yet. It is a partnership project of the Center for Culture and Information Maksimir (CKIM) and the Academy of Fine Arts (ALU), where works of ALU students are being presented.